This polyclonal antibody reacts with mu-chains of human IgM. 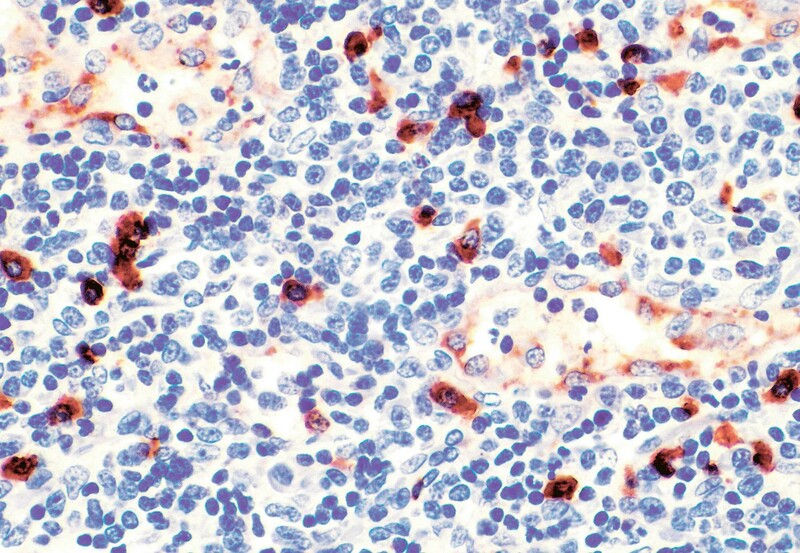 All B- cells have IgD and IgM expressed predominantly on the surface and presumably act as antigen receptors. Surface IgM is present on mantle zone and marginal zone B cells. Immature B cells in bone marrow express IgM and mature B cells migrating to periphery secrete IgD and IgM. 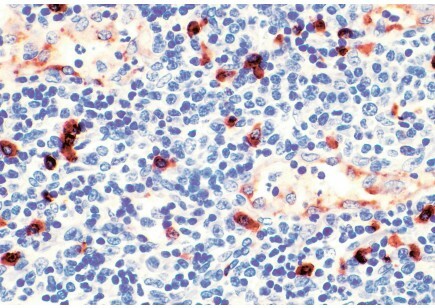 The demonstration of both IgM and IgD can be useful in determining if a B-cell lymphoma is derived from mantle or marginal zone.